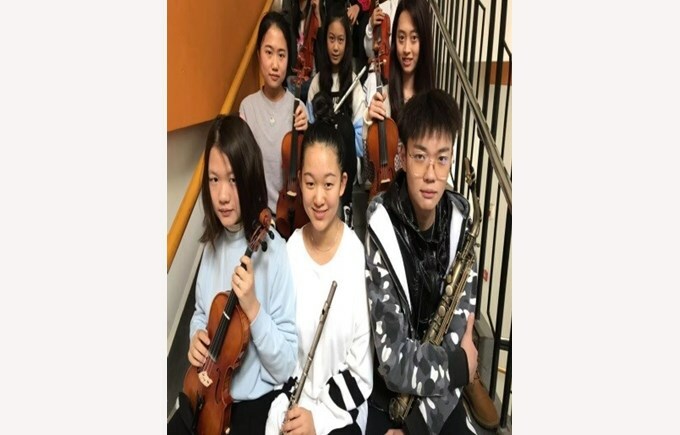 We are very excited to have Michele Vo, Bridget Deng, Christina Yu, Ho Yuan Chen, Johnny Mindorff, Jenna Song, Polly Peng, Kamen Ma, Lydia Lai, Patrick Yu, Adia Heyres-Semrau, Robin Li, Sheryl Zha and Toby Tang represent our school in the first Nord Anglia Performing Arts Orchestra Festival in Shanghai. 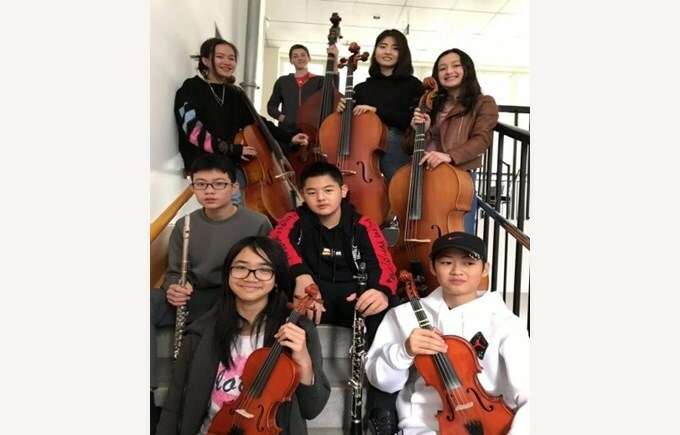 These talented musicians are traveling with Ms. Heyres and Ms. Zhang to join students from other Nord Anglia schools in China to perform compositions of masters such as Beethoven, Rossini, Mozart, and Kimsky-Korsakov . 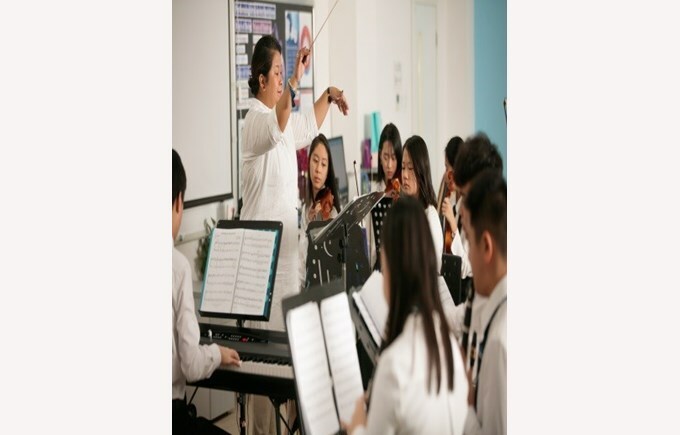 We know that this is a great opportunity for our students to showcase their talents and to work with a professional conductor from New York. 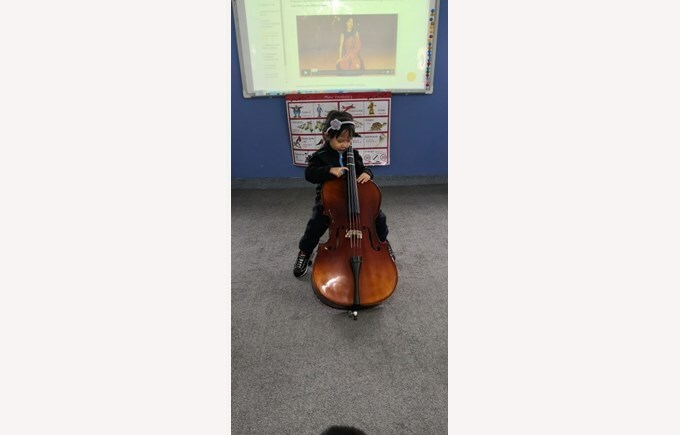 In the past few weeks, PK students have met the string family, such as violin, viola, cello and double bass. Among them, we focused on cello. 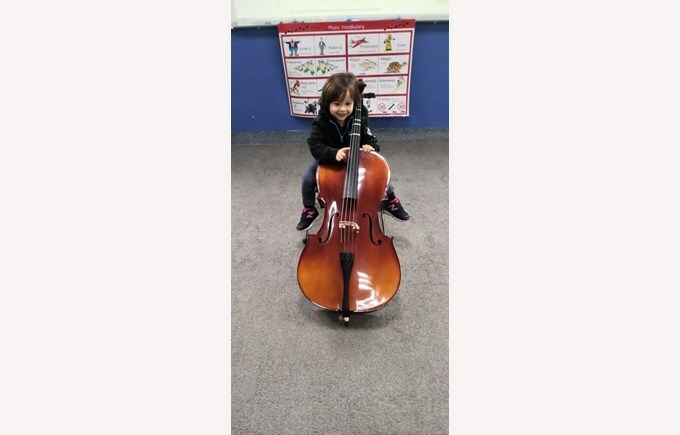 The students learned the sounds of the cello and they even learned that the cello can be plucked with a finger or bowed. 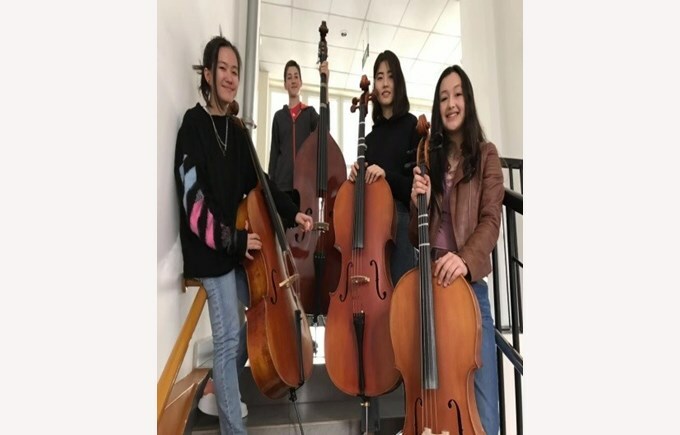 The students also tried to pluck the strings on the cello by themselves. The students had a strong interest in this instruments. 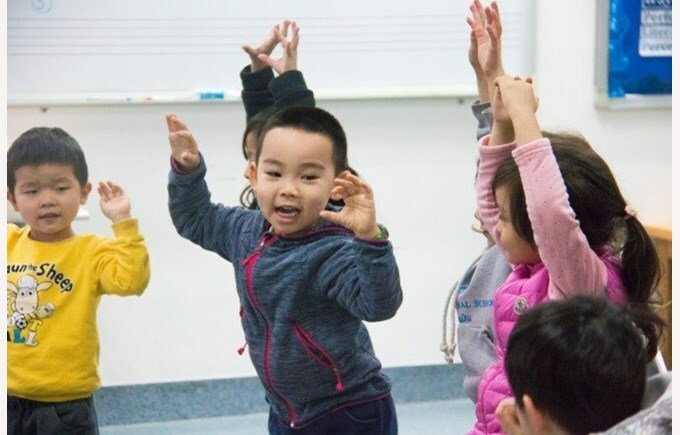 JK students have a lively Juilliard Creative Classroom with Ms. Andrea from the Juilliard School of Music. The students met Papageno and learned the Simple Ascending Scale from Papageno's Birdcall. 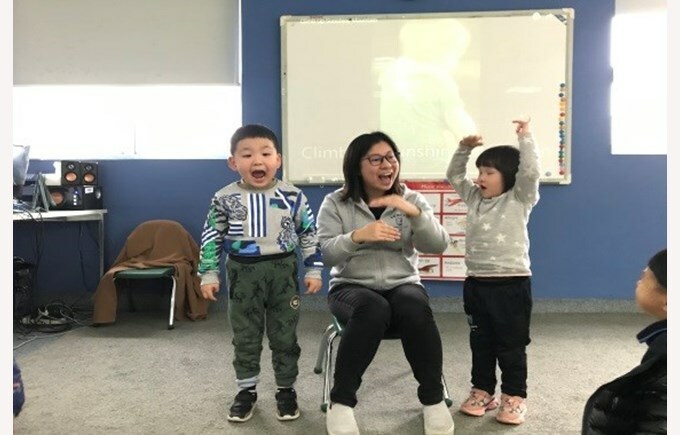 The students also created their own animal calls, such as tiger call, rabbit call, and so on. The students have done the job very well. SK A and SK B students met jazz with Ms. Silvia. 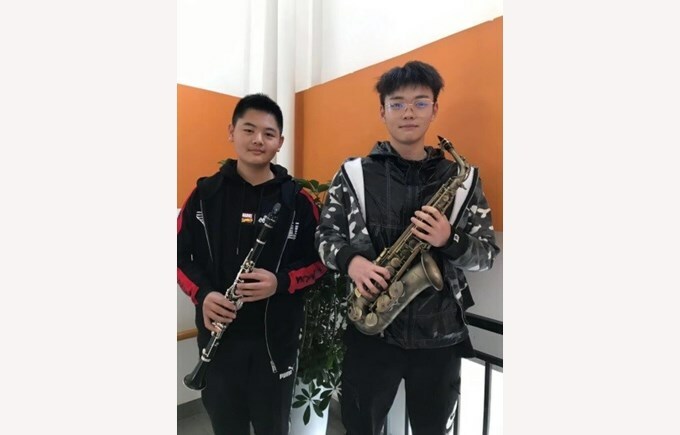 Students got to know solo, learned supporting a Jazz Solo, got to know saxophone, and learned how other instruments support saxophone solo. This completes the jazz music. 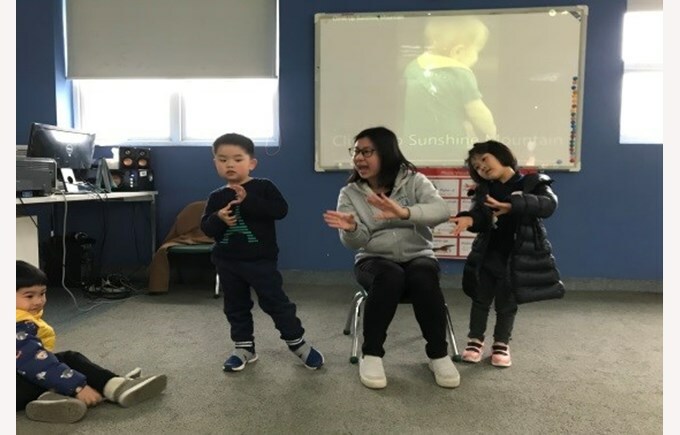 During these weeks, students from PK, JK and SK also learned a lot of songs and dances. 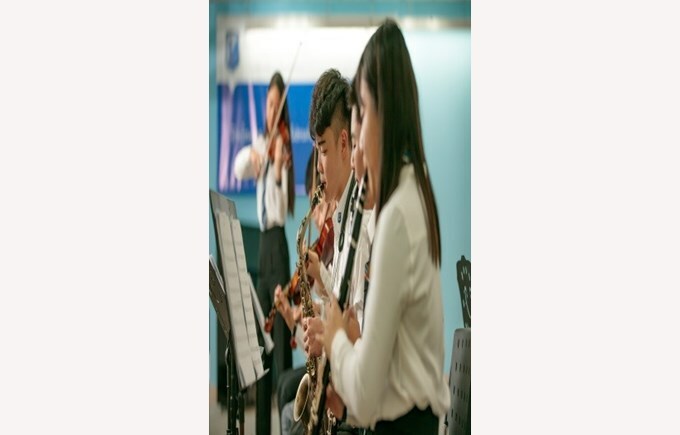 Could to know students love music very much. 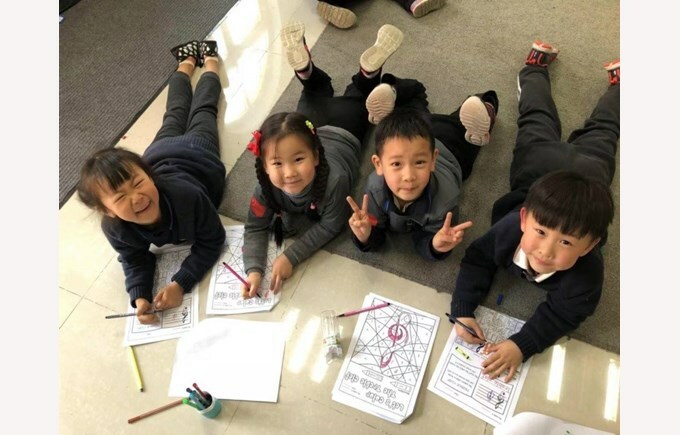 Before SKC learns how to support a Jazz Solo, which is one of the lessons from the Juilliard Creative Classroom, they met first Mr. Treble Clef ˛˛. In this lesson students traced, wrote and colored Mr. Clef. At first, the students had a difficulty with Mr. Clef as he was so hard to draw. 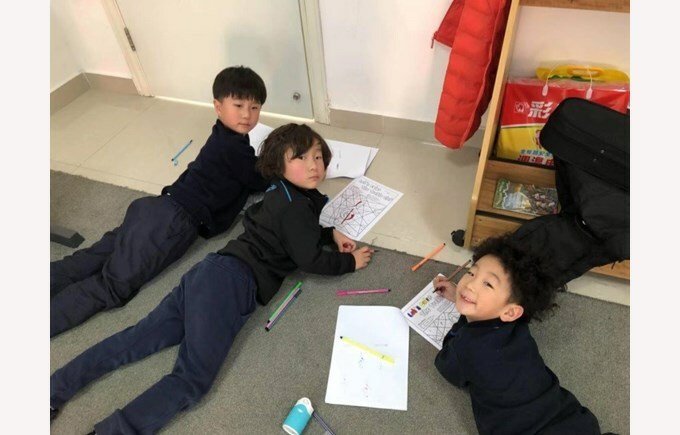 But, at the end of the class, they liked Mr. Treble as he is so easy to write as ABC. 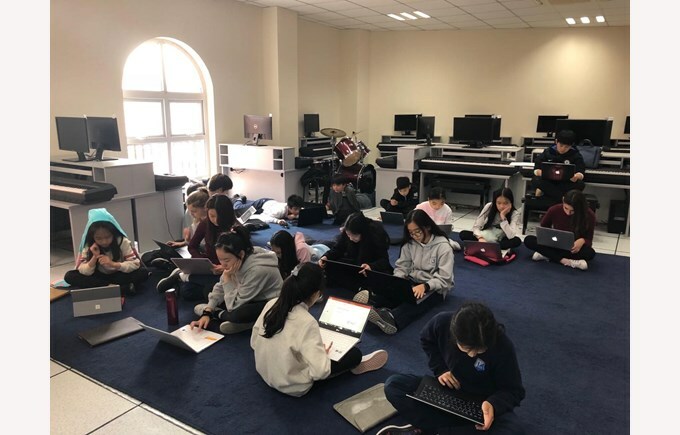 G1 just finished one of the Juilliard Creative Classroom lessons which is “Mixing Sound”. 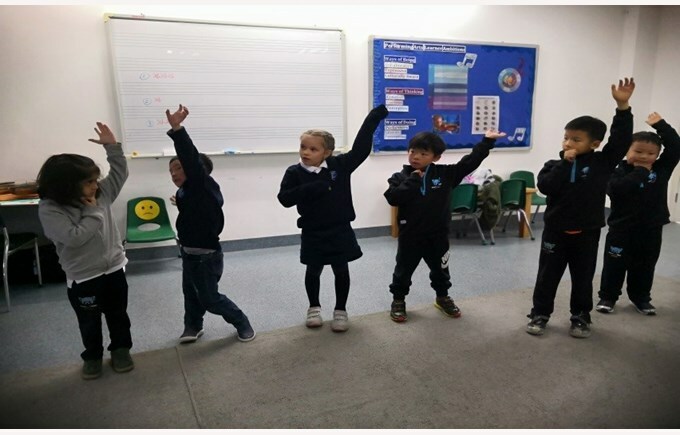 In this lesson, they have experimented with their voices by making different sounds. Students made a squeaky, nasal, round and many more sounds which their tiny young voices can produce. 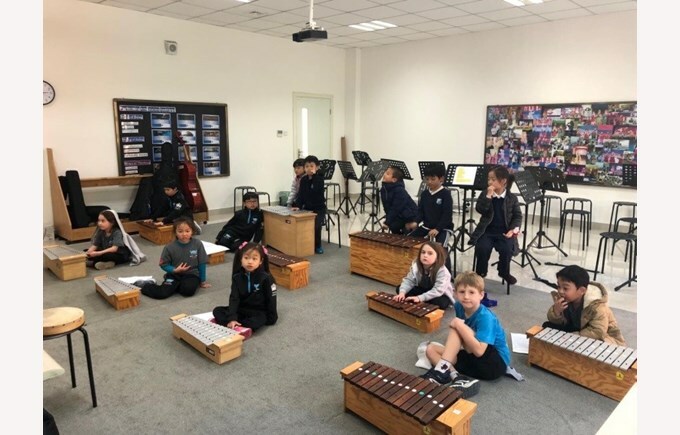 As of this week, they have started practicing new songs using the xylophone instrument for the performance for the Summer Concert. 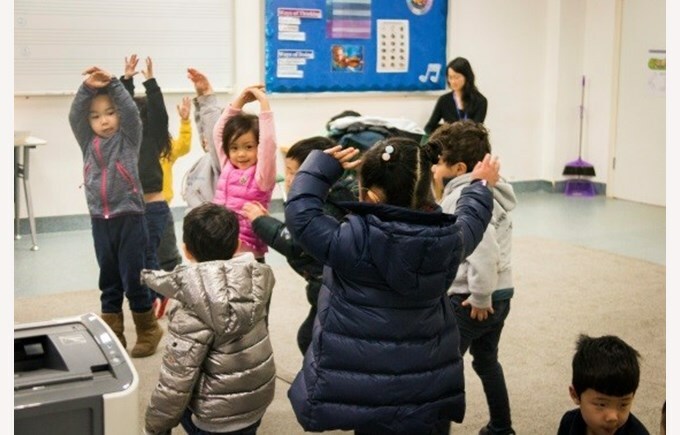 After learning one of the Juilliard Creative Classroom lessons, Blue Contours, they proceeded again to learning piano. 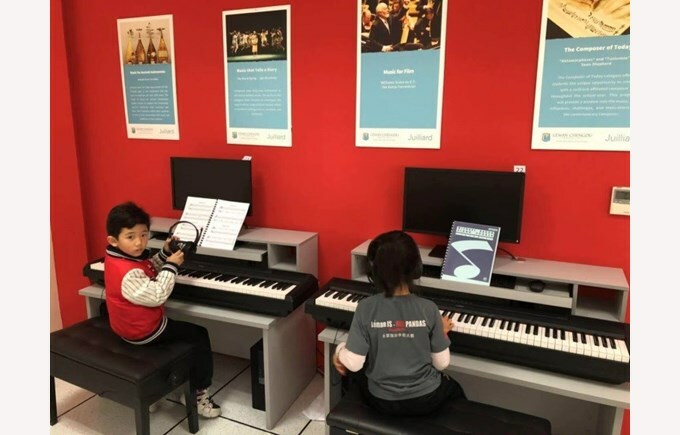 Since January this year, they have been using the book Michael Aaron-Beginner for the beginners and Michael Aaron-Grade1 for the ones who have been learning piano for more than a year. 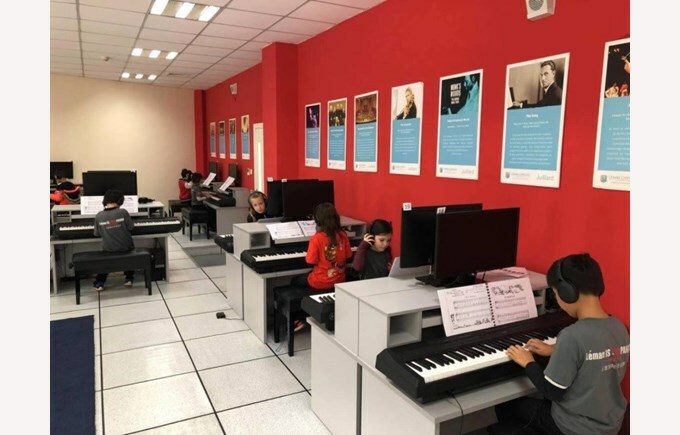 The beginner pianists are still learning reading notes but there is an improvement with the way they press the piano keys. The intermediate pianists have been learning their book by sight-reading the notes. 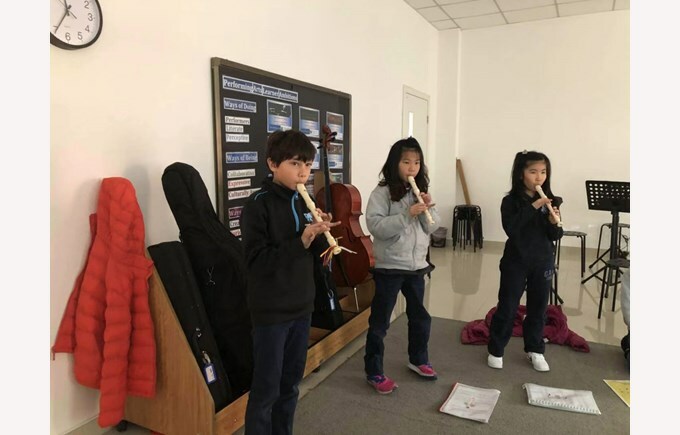 G3 had a lesson with our Juilliard Curriculum Specialist, Ms. Andrea, about the topic Dialogues in chamber Music. 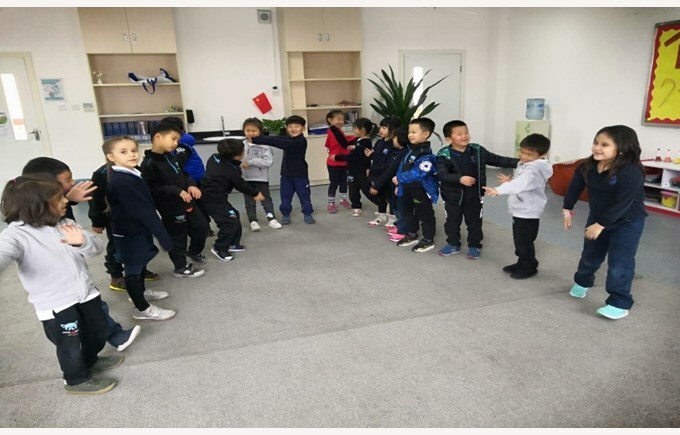 In this lesson, they learned that following a sound can either be done by copying or mirroring. 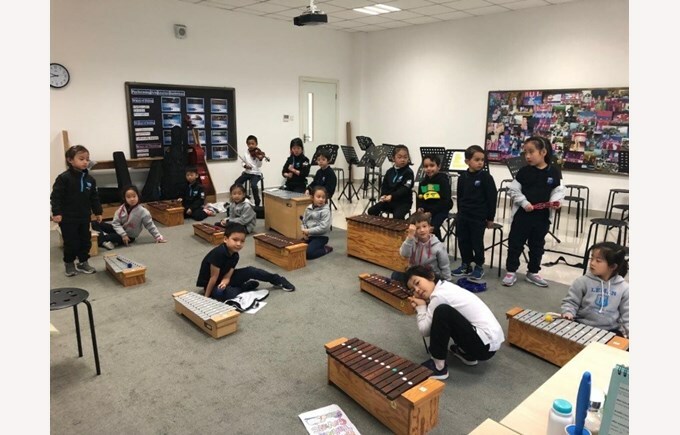 This week, G3 has been focusing on learning new song by playing on their recorders in preparation for the Summer Concert. G4A has learnt the chords D, A and E before. Last week, they learned the new chord F#m for them to perform their song for the summer concert. 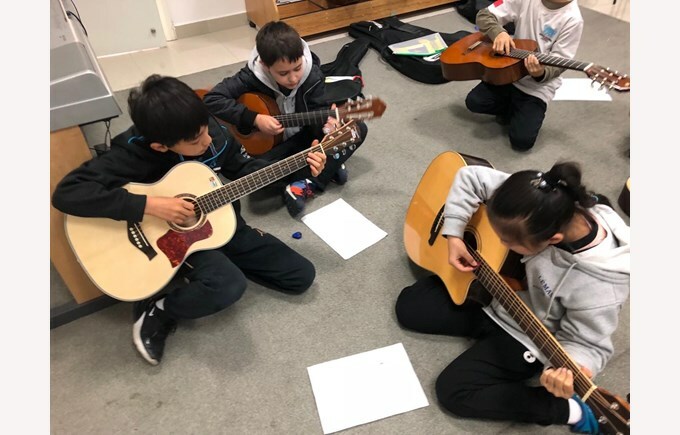 This chord is tricky but each time they have their guitar lessons, they improve their finger positions and the sound that their guitar produce. G6 is focusing on the general music lately. 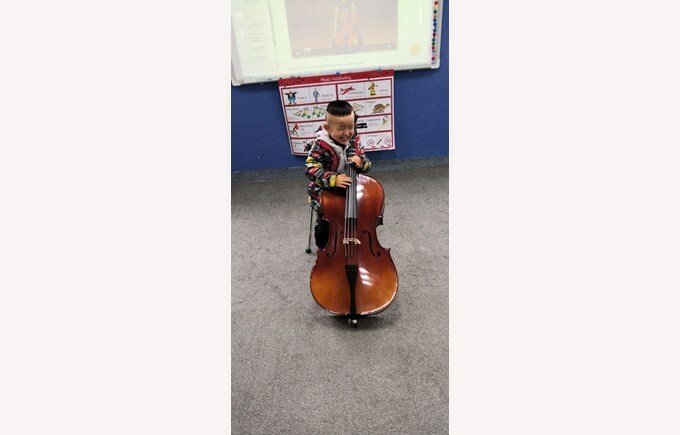 Last month, they have learnt about the element of music and their importance. This lesson was ended with a test and making of their process journal for the second semester.